Having your own website is the best starting point for building a solid brand presence online. Your brand will help you stand out from your competitors, and your guests will begin to identify with your brand as something more than just another rental business. 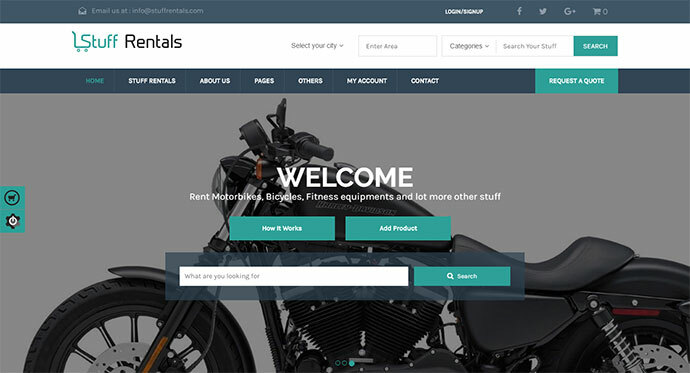 So here are 20 Best Rental Business WordPress Themes with all the features and functionality needed to take direct bookings and manage reservations for complete ease. It is expertly optimized for selling, buying or leasing your vehicles online. From cars to boats and bikes to trucks, this is the smart solution. 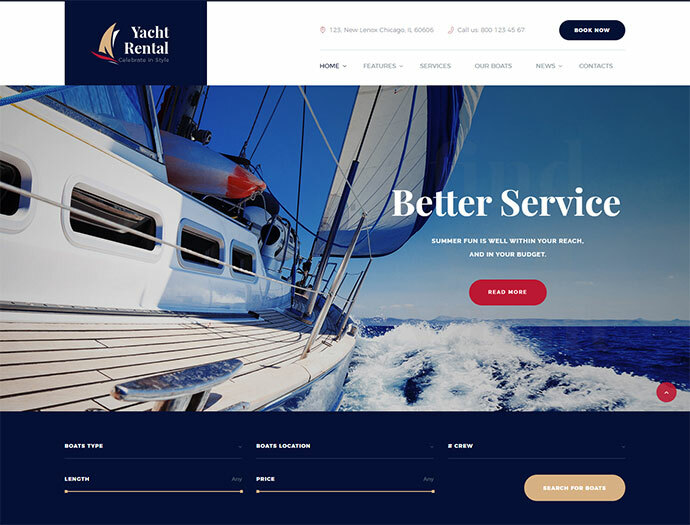 This Theme is the perfect for people who are using online services to rent and book a car for their vacation or business purposes. It is designed with Newsletter integration, working Contact and Checkout Form, One Page Navigation, Font Awesome Icon Font, Google Map, Slider, Vehicle Preview Tabs and much more? It features intuitive interface, advanced tools and powerful options implemented to enhance your web experience. The theme includes an elegant catalog where each of the objects is presented in a user-friendly way. It also offers detailed rental search filter that you can customize to your taste. Powerful options panel, color management system, comprehensive set of shortcodes and visual page composer give space for your creativity and help to create the most sophisticated designs. 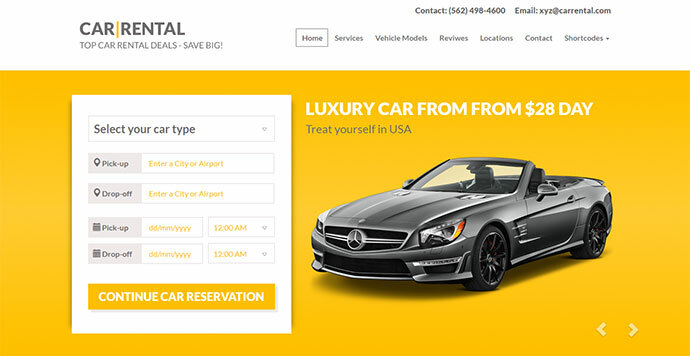 It is important for a WordPress car renting website to provide easy booking option to its user. Booking is the heart of your website and you don`t want to spoil your business with such a silly mistake. 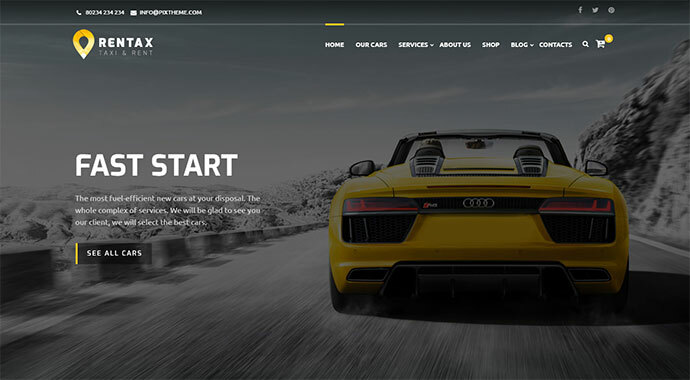 It is a Car Rental WordPress Theme crafted with a clean & modern design. autorent offers a wide variety of options including a booking system and a very fast filtering system that allows instant search. Theme is dedicated car Rental and Taxi. The topic of interest, you can choose your car and book it as well as filling out the form to call a taxi for you. The theme is easily adaptable for any car topics. 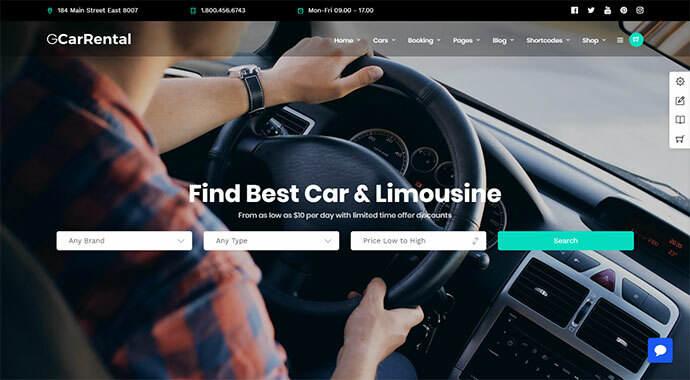 It`s designed in a landing page style and allows customers to get quickly all necessary information, choose a car, and make a booking. Beautiful cars slider will help customers to choose a car and clean booking form will let to book it in a moment. It has been developed to help you run an online stuff rental business in the most efficient and organized manner. It lets you display the properties and stuff to be rented out in a categorized way that looks highly appealing. The theme is powered by BootStrap and is designed to be responsive. The theme is also laced with Visual Composer using which it is easy to create pages with a host of features. 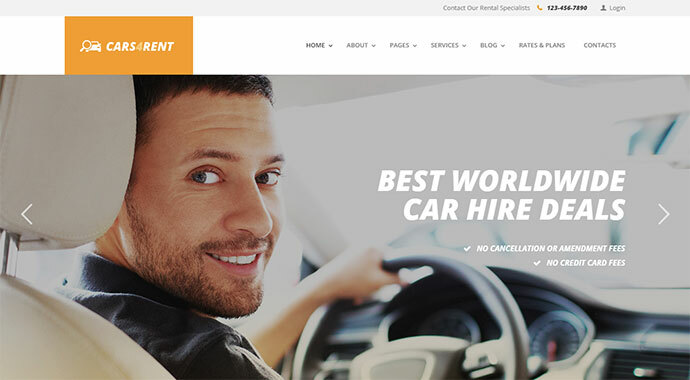 It is an user-friendly car booking WordPress theme alternatively, car rental WordPress theme crafted with , WooCommerce booking plugin, visual composer, and multilingual. This theme allows you to book or rent your date-based or time-based car booking. It is the WordPress logistic theme specifically created to maintain logistic, cargo, warehouse, trucking and transportation services in the best way possible. This is a perfect solution for medium to large logistic companies having a wide range of freight services on offer. 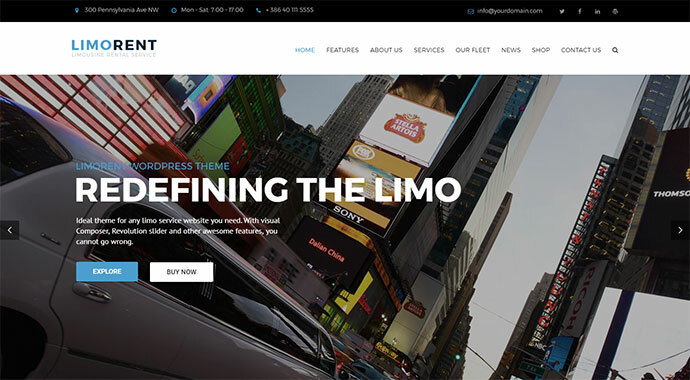 It is a brisk and modern theme made for all vehicle & limo rental businesses. Packed with three remarkable homepages. 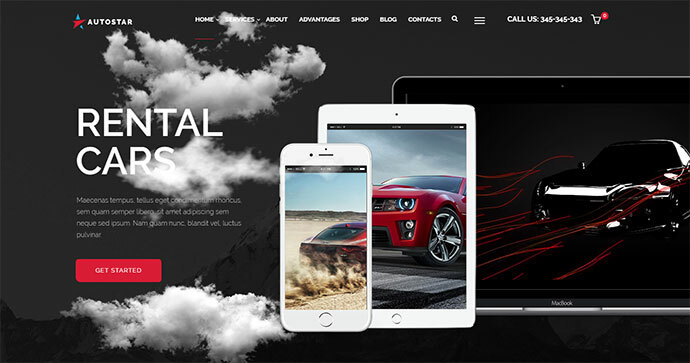 It is a stylish and powerful WordPress theme with high-class design perfect for online car rental website. 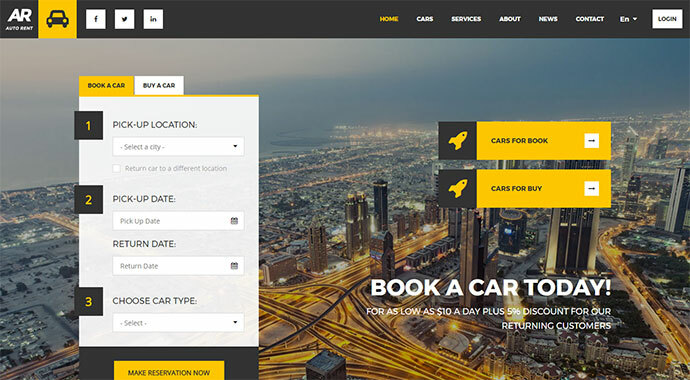 You can also easily use this theme to build a website for taxi service, auto mechanic service, or car repair shop. The theme comprises the most useful features to ensure your rental business runs smoothly. Theme that allows you to publish & offer properties for rent. You can allow owners to signup and publish their own listings, while you are making a commission for each submission or for each booking. This is the online vehicle booking system specially design for Cars/Vans booking and all kind of vehicles booking. 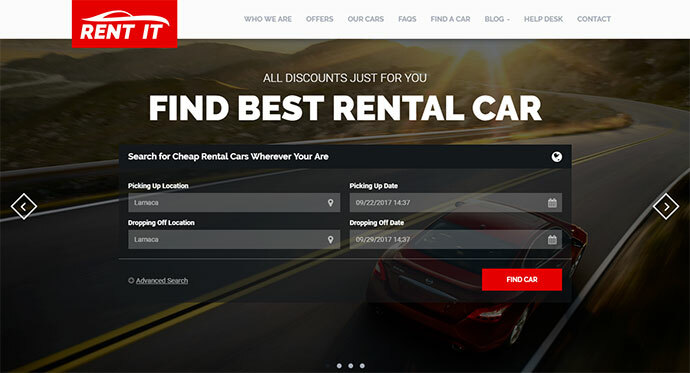 Car Rental theme offers tremendous features to book vehicle online with guaranteed services, incredible payment procedures with multiple payment gateways integrated, and above all, the most stunning feature allow user to find out available vehicles. 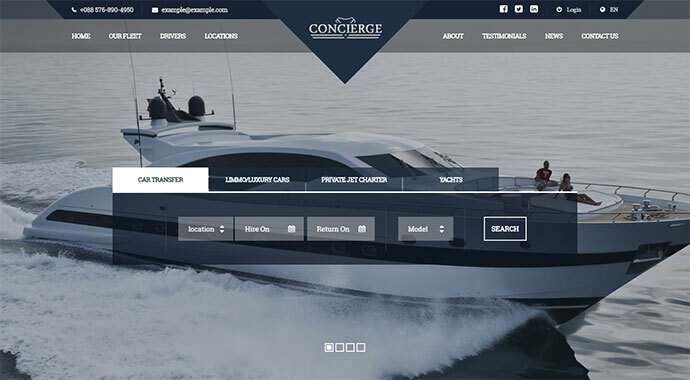 This theme comes with well designed limo fleet layout, fleet rates table and beautiful booking form. 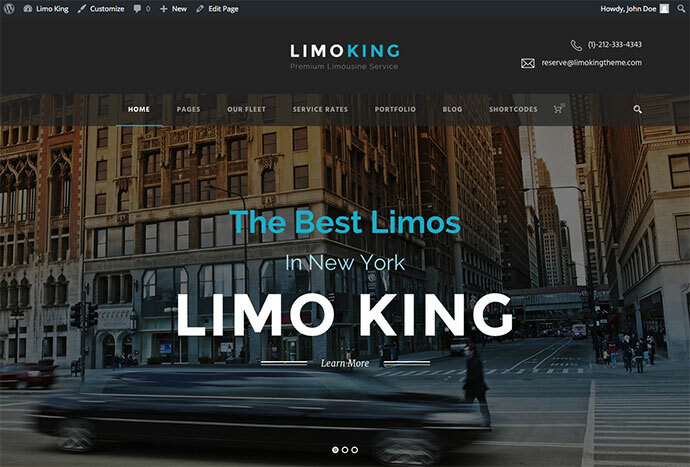 It allows customer to book online and the form will send email to admin(limousine provider). It comes complete with a booking system that has distance, hourly and flat rate pricing options available. Online payments for bookings can be processed via PayPal, Stripe or in cash. It has been created for luxury services providers. Its elegant design is perfectly suitable for Luxury Lifestyle businesses. 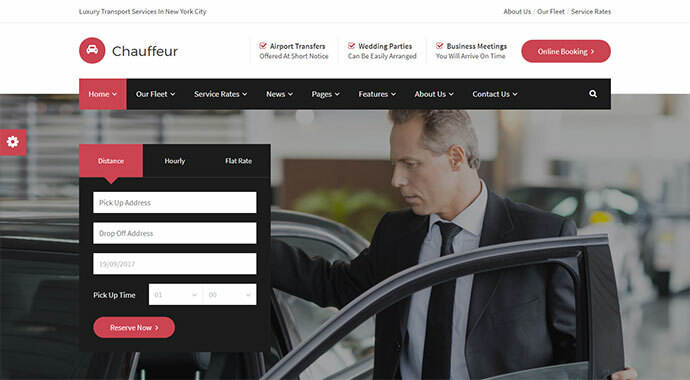 It has predefined styling & templates and many features built specially for car rental operator, limousine service or all transportation rental services which can be imported with one click. It can be used for any kind of Limo Rent or other type business. With all those features and our excellent support, you just cannot go wrong. Building your perfect WordPress theme will be a joy, why search further, get it now! 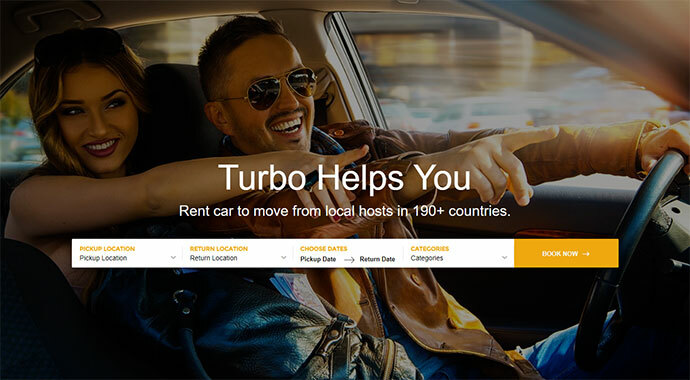 I was hoping to find a used Turbo-WooCommerce Rental & Booking Theme – One where users can add details / sell their own cars. Ideally, Beautiful theme, the design is just beautiful and the functionality. most users use phones for surfing so it needs to be optimized for mobile devices Does such a beast exist? Thanks for sharing useful Information. I enjoyed your Blog.